You know those heavenly coconut cookies… the ones dense with sweet flakes of tropical coconut bliss? We’ve taken those delectable morsels and stuffed them into a muffin. Is is health food? Probably not. 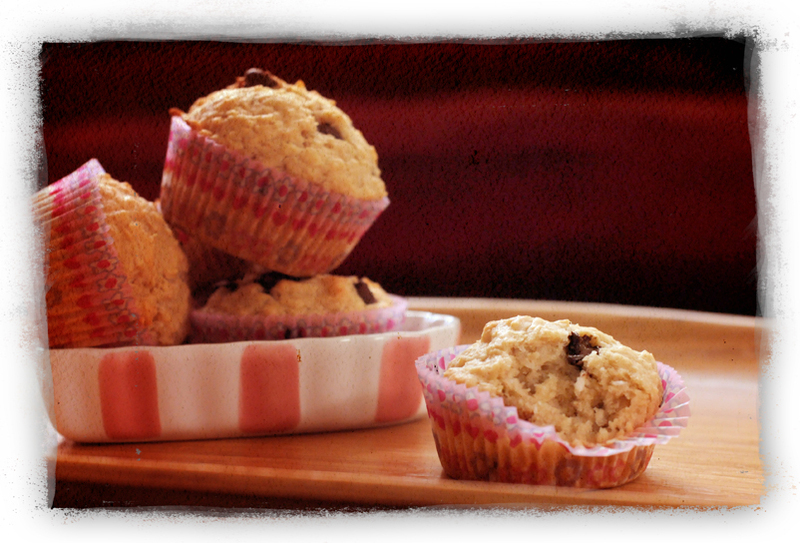 Is it the best excuse for muffins and tea we’ve seen in ages? Decidedly so. And being that it’s Valentine’s Day, why not bake up a delectable breakfast for your sweetheart? What a perfect way to begin the morning! Preheat oven to 375. Line a muffin tin with papers and spritz each one lightly with non-stick spray. In a large bowl, stir together dry ingredients: flour, baking powder and salt. Set aside. In a second bowl, combine coconut milk, sugar, vanilla, rum extract, oil and Egg Replacer/water. Mix well and pour into dry ingredients. Stir until just combined. Add in all coconut shreds and chocolate chips, folding into the batter until the coconut is evenly moistened. Spoon into prepared muffin tin and bake at 375 for about 25 to 30 minutes. When they are done, the tops will be slightly toasty-brown and a toothpick will come out clean. The name really says it all: Cloud 9. If you haven’t tried raw chocolate yet, you’re in for a treat. Make that a double treat – cuz Cloud 9 raw chocolates are made right here in Maryland. We met the chocolatier behind Cloud 9, Jennifer, a few weeks ago at the AVAM State of the Earth Eco-Conference. Jennifer is a holistic nutritionist who lived – and ate chocolate – in Switzerland. Her inspiration was a meld between the exquisite chocolate technique of the Swiss and her passion for whole-health, whole-foods that are sustainable. Cloud 9 comes in 4 flavors: Original, Cranberry-Pecan, Macadamia Nut-Goji Berry and Walnut. We sampled them all at the conference and each was smooth, delicate and – as the label promises – blissfully satisfying. But wait – there’s more. No really – there IS more! This is not only vegan and gluten free, but loaded with antioxidants! A portion of raw chocolate is has antioxidant levels exceeding blueberries by 18 times. Additionally, raw chocolate has anti-aging effects including younger-looking skin, healthier cells and a stronger defense against cancer-causing free radicals. 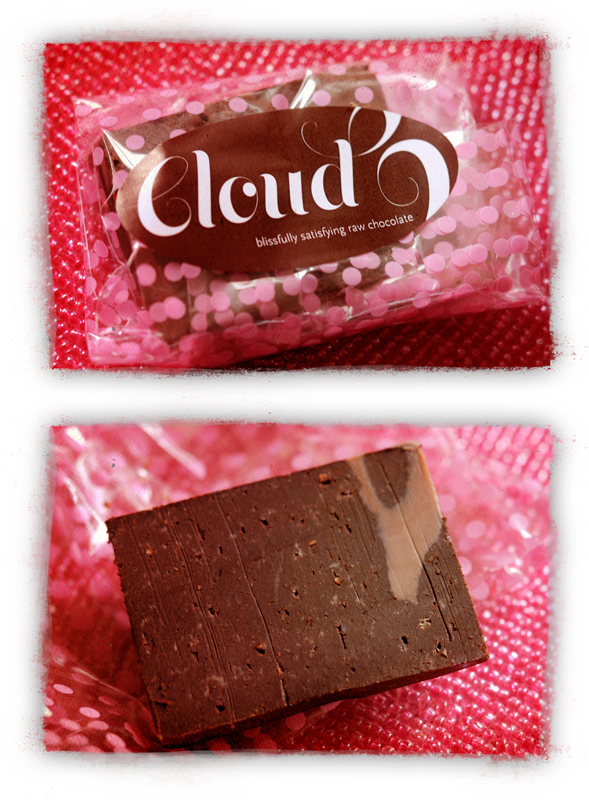 You can buy Cloud 9 Raw Chocolate online. Try one type, or get a monthly subscription. You know, so you don’t run the risk of running out. We’ve never felt so good about buying local – and eating chocolate. Everyone loves to feel loved. And thus goes Valentine’s Day. After all, who wants to be the guy (or gal) that feels like Charlie Brown, eternally waiting by their mailbox for that most old-fashioned token of adoration, a Valentine? We say, keep on celebrating the love. 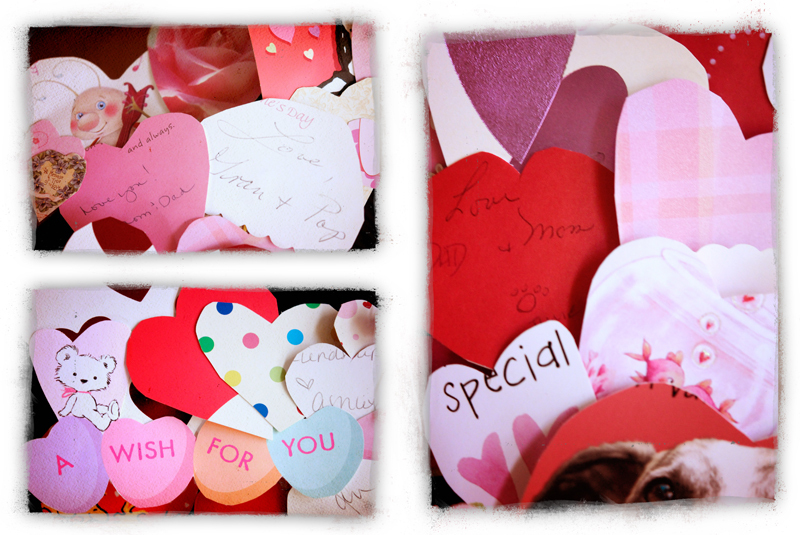 Upcycle your old Valentines into a wreath of hearts you can use year after year – you can even add to it each year as well! 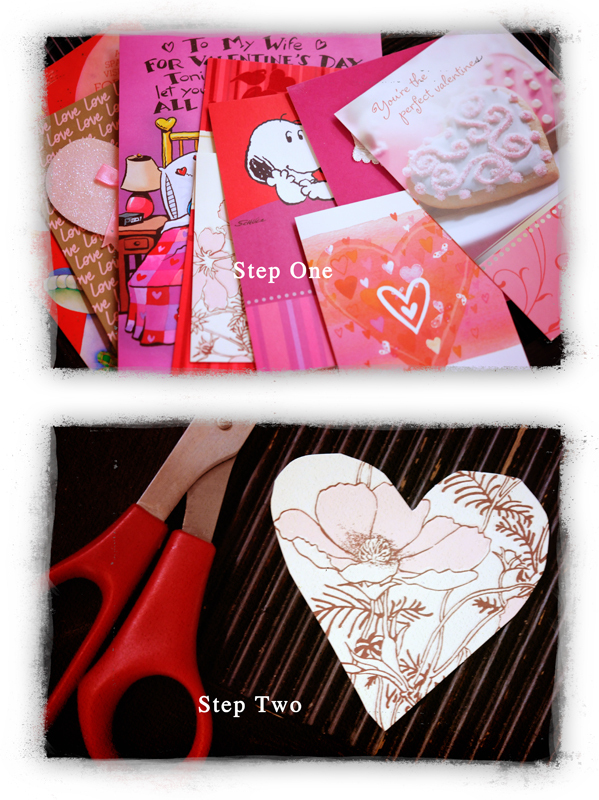 The first step is to decide which parts of the old Valentines you want to use. They usually have cute photos, drawings and characters. We like to cut out signatures of our family and friends, too. Next, step two, cut all the hearts for your wreath. Be sure to mix up the sizes for visual variety (unless you like them uniform, of course). 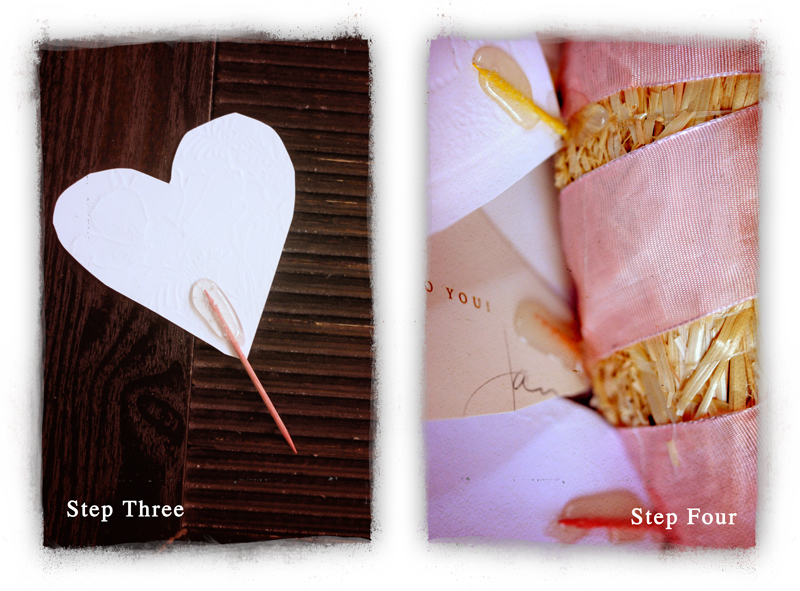 Step three, use the hot glue gun to affix a toothpick to the back of each heart. You may want to put some hearts on sticks facing in different directions, so you have hearts on the top, bottom and sides of your wreath – but with each heart still facing upright as it will be attached to the wreath. In the fourth step, fill up the wreath with hearts and secure them with more hot glue. Decorate as desired with ribbon or other cute stuff – like more hearts or glitter. Then sit back, relax and feel all the love from your new upcycled wreath! We saw this done once with Christmas cards cut into holly shapes. But it might be even more adorable with hearts! Do you have plans this Thursday? Well, now you do. 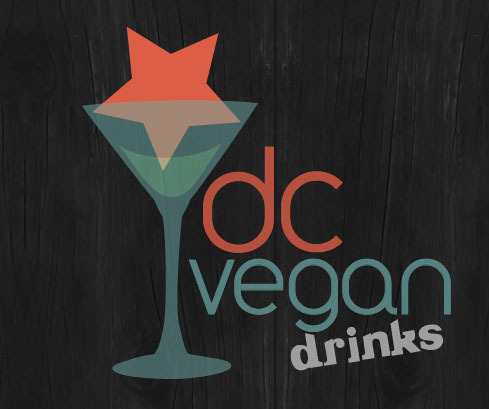 Time to step out and go to Vegan Drinks DC. This month’s meeting is at Meridian Pint, 3400 11th Street NW, Washington DC, 20010, from 7pm to 10pm. It’s DC Meat-Free week, sponsored by DCVegan. Even the Washington Post is talking about it. Author John Schlimm, the brains behind The Tipsy Vegan cookbook, will be signing books. The restaurant will also be featuring some of his recipes, too.